Donauland - Ihre Welt der Vorteile - Loose In L.A.
1 Pretenders Lie To Me / Time / Message Of Love / My Baby / Talk Of The Town / ... (Live At The Wiltern Theatre, February 2003) (Dvd) - 20:00 Min. 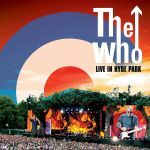 1 Pretenders Lie To Me (Live At The Wiltern Theatre, February 2003) - 02:23 Min. 2 Pretenders Time (Live At The Wiltern Theatre, February 2003) - 03:58 Min. 3 Pretenders You Know Who Your Friends Are (Live At The Wiltern Theatre, February 2003) - 03:30 Min. 4 Pretenders Complex Person (Live At The Wiltern Theatre, February 2003) - 02:47 Min. 5 Pretenders Fools Must Die (Live At The Wiltern Theatre, February 2003) - 02:35 Min. 6 Pretenders Kinda Nice, I Like It (Live At The Wiltern Theatre, February 2003) - 03:37 Min. 7 Pretenders Nothing Breaks Like A Heart (Live At The Wiltern Theatre, February 2003) - 03:28 Min. 8 Pretenders I Should Of (Live At The Wiltern Theatre, February 2003) - 04:03 Min. 9 Pretenders Clean Up Woman (Live At The Wiltern Theatre, February 2003) - 03:25 Min. 10 Pretenders The Losing (Live At The Wiltern Theatre, February 2003) - 04:50 Min. 11 Pretenders Saving Grace (Live At The Wiltern Theatre, February 2003) - 03:20 Min. 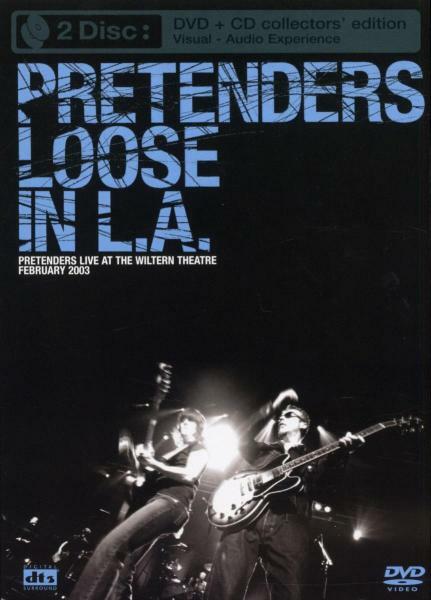 12 Pretenders Walk Like A Panther (Live At The Wiltern Theatre, February 2003) - 04:42 Min. 13 Pretenders Complicada (Complex Person-Spanish Version) (Live At The Wiltern Theatre, February 2003) - 02:57 Min. 14 Pretenders I Wish You Love (Live At The Wiltern Theatre, February 2003) - 10:35 Min.